It’s snow season! Bear Mountain has some runs open, and Snow Summit is getting ready to start spraying snow this week so more skiers and snowboarders can head out to the slopes.. Are you considering trying something a little different this year on the slopes? Or, are you about to succumb to the pressure of all your friends who tell you how much fun it is to rush down the slopes? Leash it! Make sure you have a leash attached to your board, so if it does get away from you, it won’t be too much of a hike to find it. Talk to the experts! 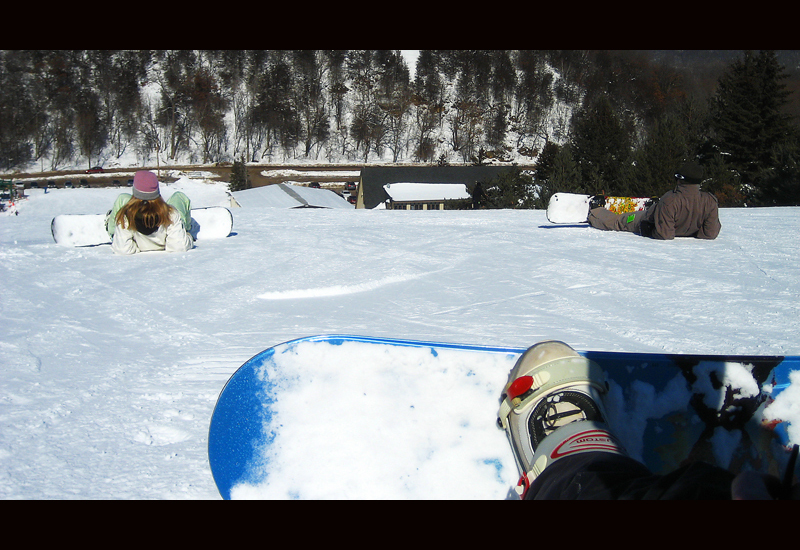 Bear Mountain has a variety of packages for the beginning snowboarder. You are going to want to get a few lessons under your belt before you hit the slopes. Pointers from the experts will help you figure out your lead foot and help you get ready for your first ride. Get to the top! Taking a ride on the lift is the first part of your adventure. Make sure your front foot is strapped in tight and you have a good handle on the leash to hold up the back half. Once you get to the top, you are going to want to make sure that both of your feet are securely strapped in. Sit down while you are doing this to make sure you get the straps as secure as possible. Become friends with gravity! 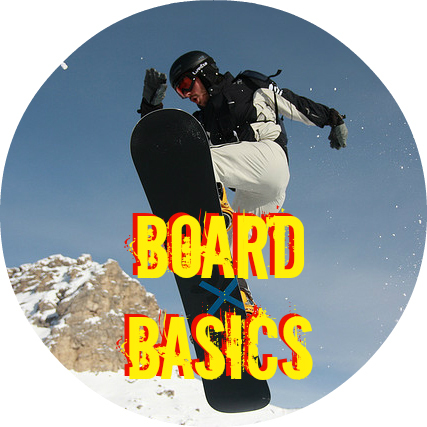 Point the lead end of your board toward the bottom of the hill; move your feet in the boot and enjoy the ride! The motion of your foot should be enough to get the board moving. After that, it is going to be up to your body to keep you upright and turning down the hill. STOP! When you have made it safely to the bottom of the hill, turn the board so it goes across the slope of the mountain. That will give you the most surface to stop at a relatively rapid rate. Lean back, so if something goes wrong, you are falling backwards, not forwards on your face. And, make sure no one is behind you when you stop. A fall in the snow may hurt a little, but someone else crashing into you will be far more painful. The asterisks (*) in the equipment list are items that our friends at Get Boards have to rent. Not only that, but if you are staying with us, you get a free lift ticket on your birthday when you rent your gear from there. Renting is a great way to go for the beginner, since it gives you a chance to try new equipment and see which is right for you. The more snow that falls around Big Bear Lake, the faster our rooms fill up. Get your reservations made today, and get out on the slopes to try something new this winter! Gallery | This entry was posted in What to see and do and tagged Adventure, Bear Mountain, Big Bear CA, big bear lake, Get Boards, reservations, snow, Snow Summit, snowboarding, winter. Bookmark the permalink.